Only one hour’s drive from Geneva in the Yverdon-les-Bains region, the Grottes de Vallorbe make an unforgettable and fascinating day-out for the whole family. The Vallorbe Caves are filled with stalactites and stalagmites in different shades of amber, and they form a tunnel over the river Orbe. 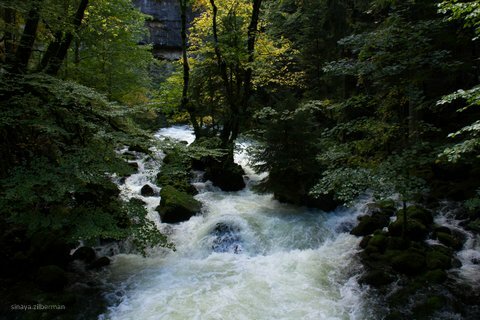 The river Orbe itself is spectacular, surging powerfully through a gorge. We visited the Grottes de Vallorbe recently on a quiet sunny day: walking through those galleries carved out of limestone and stretching over 3 km was indeed an amazing experience. 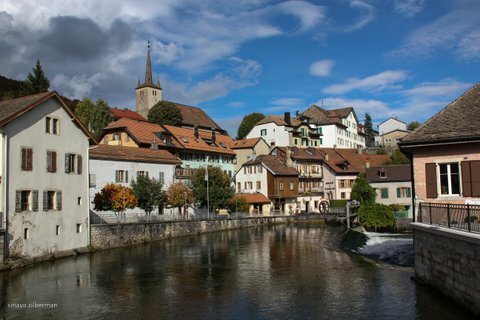 The caves are situated approximately 3km from the pretty town of Vallorbe in the Swiss Jura. When you arrive in Vallorbe, you will see signs directing you to the Grottes. The walk from the Grottes parking and pic-nic area to the entrance of the Grottes is lovely and there are different walking paths in the woods which you can take. Remember to bring a hat, non-slip shoes and a jacket as the temperature inside the caves is constant thoughout the year at around 11° C and you can also get wet from water dripping down the stalactites ! The walk inside the caves takes about one hour. Throughout the centuries, the river Orbe has created a true masterpiece of nature by hollowing out the limestone and giving life to these high-ceilinged rooms and galleries that are rich with imposing stalactites, plate pile stalagmites and an immense flow of calcite, “moon milk” and translucent threads. The children love looking at the different natural shapes of the limestone that resemble bisons or even fairy’s hair. 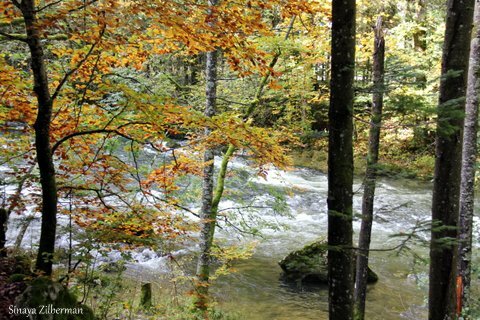 The visit leads to the stream of the river Orbe, which flows underground with a deafening noise. At the end, the tour can be extended with a visit to the the gallery, with its music & light show and amazing view of the caves, as well as the Fairy Treasure Trove, a magnificent collection of 250 minerals on display. 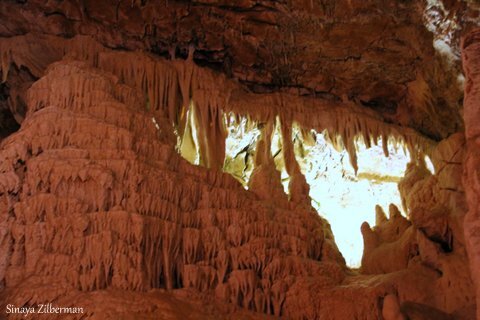 The Vallorbe Caves are the biggest in the Jura and also some of the most interesting in Europe. They were discovered in 1961 and have been open to the public since 1974. 2nd-23rd March 2013 open Saturdays and Sundays from 1pm to 4.30pm. April to October open every day from 9.30am to 4.30pm. In Vallorbe you can also visit the Musée du fer et du chemin de fer, dedicated to the history of the Swiss iron industry and railways – perfect if your little ones love trains! Cover photo © Sinaya Zilberman. This post and beautiful photos have been kindly contributed by Sinaya Zilberman, an Interior Architect & Designer working freelance with corporate and private clients. Using her corporate knowledge as an ex VP in Human Resources, Sinaya brings to life her clients’ vision by developing their working environment and showrooms. 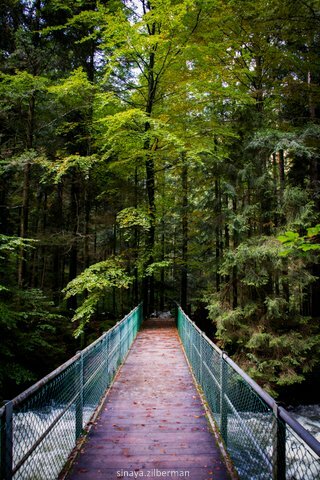 Sinaya is also a photographer who loves shooting nature, portraits, and business environments. Just wanted to say that we went to the caves in Vallorbe today and had a fantastic day. We got the info from your website so thanks. I’m looking forward to trying out all the other things on there!